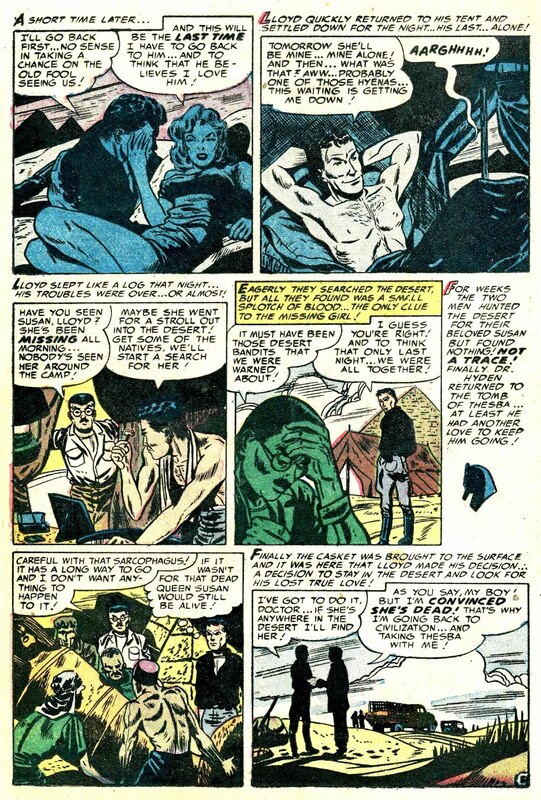 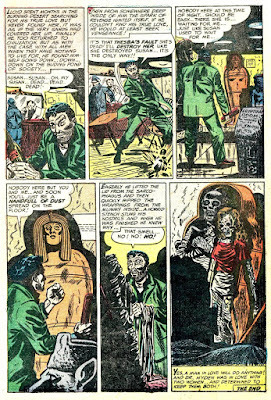 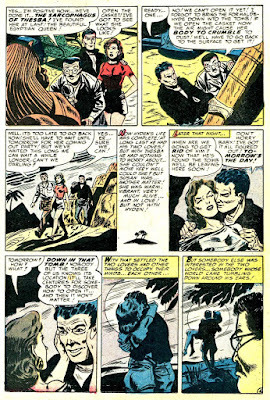 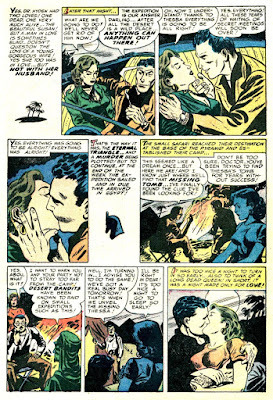 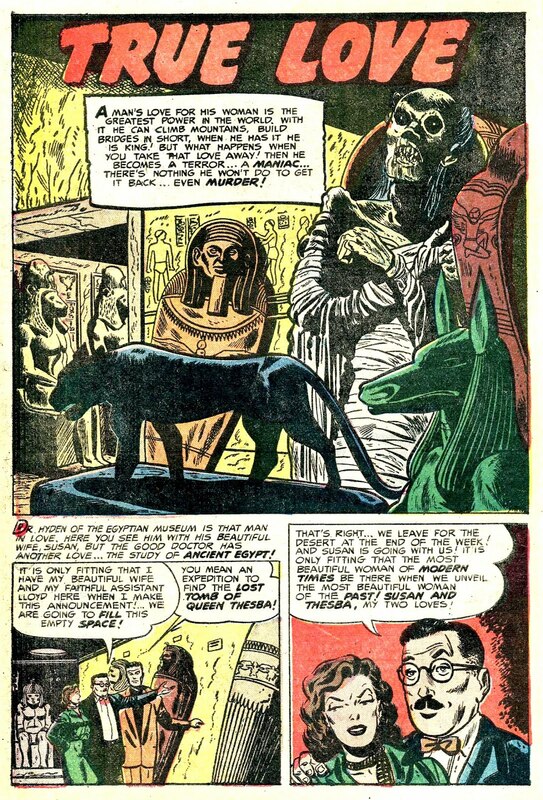 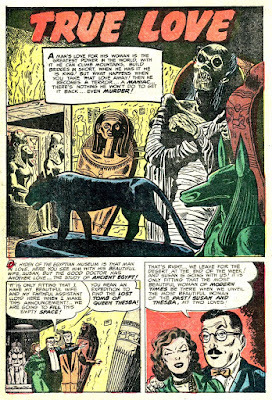 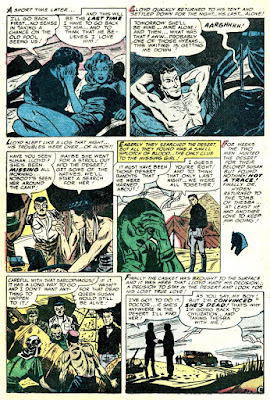 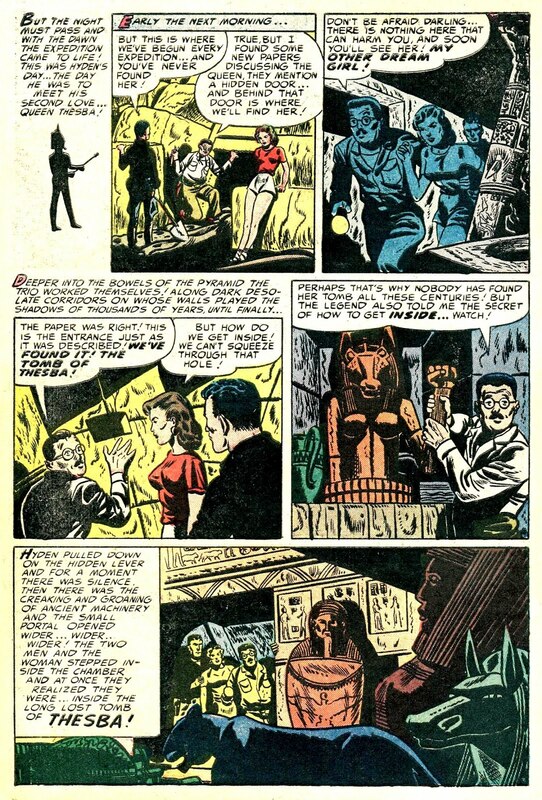 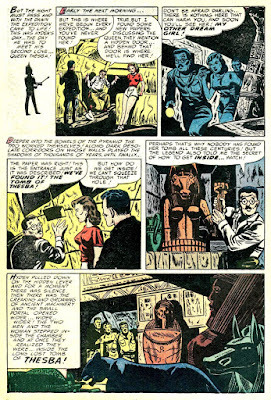 Post #2 in our vicious Valentine Special for February 2019– and it’s a rather grim, mummy monstrosity, from the November 1953 issue of Mister Mystery #14, with art by Eugene Hughes. 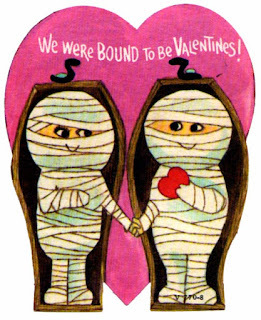 And yes, my MUMMIES book is still available HERE, and like my HAUNTED LOVE collection mentioned in the previous post– also makes a great VD present! 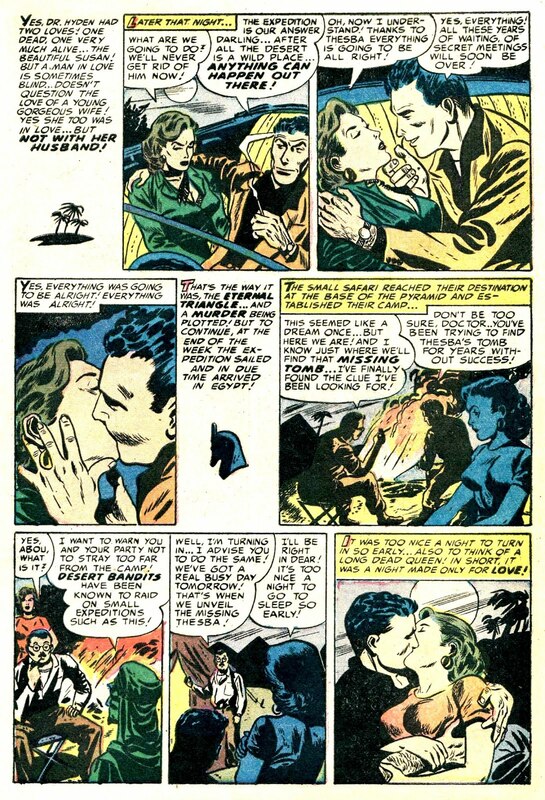 Go-go-go you crazy love birds!